A bold new biography of the surgeon and activist whose fame in China makes him the best-known Canadian in the world. Listed as one of the best non-fiction books of the year by the Toronto Globe and Mail. Short-listed for the Canada Prize 2012. Translated and published in Spain as Las Vidas del Dr. Bethune, Ediciones Universidad Salamanca, 2011. Translated into Chinese as Businiao: Baichuende Yisheng, China Youth Publishing House (Beijing) in 2014. Restless, dynamic, conflicted, a surgeon, an artist, and a writer, Norman Bethune was an extraordinary Canadian. Brilliant, yet erratic, Bethune led a life characterized by cycles of achievement and self-destruction and his adventurous spirit led him from the operating rooms of Montreal to the battlegrounds of Spain and China. 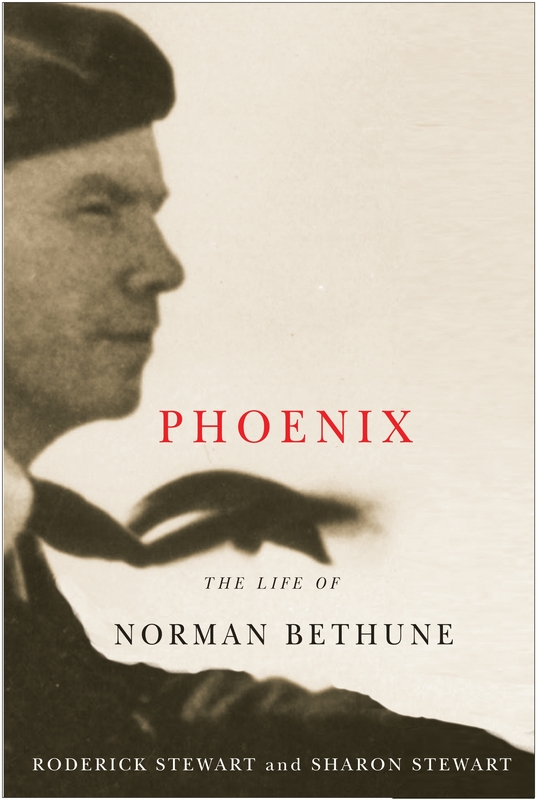 In Phoenix The Life of Norman Bethune Roderick and Sharon Stewart provide the intriguing details of Bethune's controversial career as a thoracic surgeon, his turbulent personal life, his passionate crusade to eradicate tuberculosis, his pioneering commitment to the establishment of medicare in Canada, and his creation of a mobile blood transfusion unit during the Spanish Civil War. They also examine the reasoning that led Bethune to embrace Marxism and show the depth of his faith in the triumph of communism over fascism - a commitment that drove him to take risk after risk and ultimately led to his death from an infection contracted while performing battlefield surgery with his mobile surgical unit in northern China during the Sino-Japanese War.